We are probably all fed up to the back teeth with hearing constantly about Brexit, but the fact remains that Rye has always been in the front line when it comes to anything happening on or with Europe and what happens in Europe is going to affect us just as much – and in some cases more – than some other parts of the country. There is little point now in debating which side of the leave or remain argument was right – proponents of both sides have been shown to have been singularly economical with the truth during the referendum campaign – the vote went in favour of the leavers and, in the interests of democracy, leave, we now must. 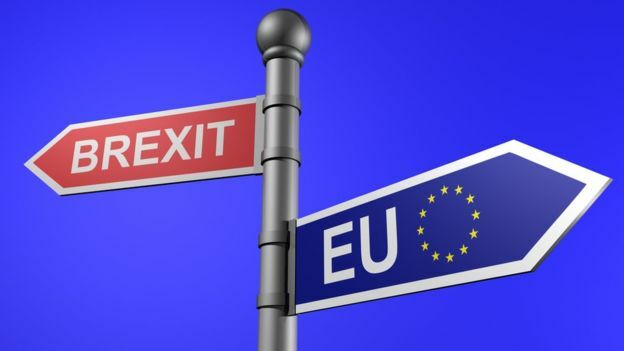 The Lib Dems and other hard line remainers are now calling for a second referendum – euphemistically labelled “peoples’ vote” – but is this democracy? If we were to have one and the outcome was the same, would they then demand another vote and maybe another until they got the result they wanted? Hardly democracy and certainly not a situation that the leave campaign would accept. It was always obvious that the powers in the EU would not make it easy for Britain to leave for they know only too well that if we can be allowed to easily go others – Portugal, Spain, Greece, maybe Italy, Poland where the EU is not at its height of popularity, could be encouraged to follow suit. If that was not a big enough problem in itself, we heard today (November 15) that the man in charge of agreeing the agreement that has just been reached, has decided that he doesn’t agree with it after all and has resigned. My opinion of someone so spineless that they are not prepared to stay and fight their corner cannot be adequately expressed here. The result, however, is that we are left with even more confusion and uncertainty and that is the last thing that is needed at the moment. From the perspective of Rye, we are a town whose economy very largely relies on imports from the continent- the imports, of course, being tourists. At the moment it is no more difficult for someone travelling from, say, France or Holland or Germany to get here than it is for us to travel to London. But what if we leave with no agreement? Will there be long delays on entering the country? Will ferries and Eurostar be able to run as frequently and simply as they do now? Will additional bureaucracy and potential lengthy delays encourage visitors to give England (and Rye) a miss and head somewhere else that will be easier and maybe cheaper to get to? There is local industry, too, that depends on cross-channel trade but has no idea where it will stand in a few months, or even a few weeks time. And what about our fishermen? They may not like the current common fisheries policy, but at least they have a policy and rules to follow. The fear must be that with no agreement they might still be banned from most continental fishing grounds while seeing their own areas invaded by French and Spanish boats. Even, horror of horrors, another version of the ‘cod war’ that we have had in the past with Iceland. One could go on – and I haven’t even mentioned immigration and the increased determination of traffickers, now starting to use bigger, more seaworthy boats to get their victims illegally into the UK. At the moment they appear to be aiming mainly at the short crossing to the Dover area but Camber, Rye Harbour, Winchelsea Beach are only a stone’s throw away. Boats have landed there before, and if it means getting illegals out of France and thereby removing a problem, then the efforts of French authorities to stop them before they leave could well prove to be less than totally convincing . The fact, however, is that there is no alternative to getting an agreement with the EU. It may not be one that pleases everybody (on present form it certainly won’t be) but let us not forget that agreements can later be re-agreed. Mrs Thatcher in the 1980s proved that. So we should support the current efforts to reach an agreement and end this uncertainty. We can always decide later who we might want to be in charge of implementing, or possibly changing the terms agreed now. As of today, Friday November 16, there is still time for the Prime Minister’s draft Agreement to be renegotiated. This from the man who I believe most people still trust…….the former Brexit Secretary, David Davis. Asked by the BBC if there was time to go back to the EU, he said: “Yes. You said the negotiations were over, that is nothing like true. “First off, let’s understand what this is. This is the withdrawal agreement. It barely includes a proper future partnership. So negotiations are not over. Events are moving by the hour but there is still time to turn this deal around. I am as fed up as the next person with Brexit. The posturing on all sides is getting us no-where. The deal on the table is a compromise neither side likes but there has to be a decision at some point rather than draw it out another few years. Or if, as some now say, even leavers, we had a better deal being in the EU than this deal, let us remain.